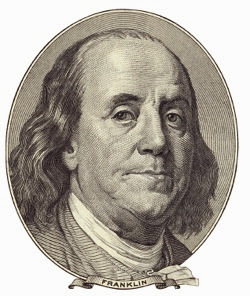 Our friend Ben Franklin said “A penny saved is a penny earned.” Actually, there’s some debate about whether he actually said that, but the thought is a good one. You can’t always bring in more money but if you buy stuff at a discount it’s almost the same thing. The four websites described below will do more than save you a penny. They’ll save you a bunch of dollars– maybe enough to buy an iPhone 6. Do your wallet a favor and check these sites out. These are my personal favorites– they save money for me, and they’ll do the same for you. RetailMeNot saves you money whether you’re buying things online or in stores. It provides coupon codes for use at check-out time online as well as printable coupons for use at the in-store checkstand. RetailMeNot also tracks sales that don’t require coupons, saving you the trouble of looking at multiple websites to find out what’s on sale. You can set up an account and tell RetailMeNot which stores you’re interested in and RetailMeNot will send you an email every day with coupons (and sales) that meet your criteria. I always visit RetailMeNot (in a new browser window) whenever I’m about to buy something online, just in case they have a coupon code. You should too. (We should both check RetailMeNot before going to physical stores as well, though I usually forget.) It only takes a second to search the site, so why not do it? The codes don’t always work– these sorts of things expire and it’s tough trying to keep up with it– but RetailMeNot does about as good a job of keeping things up to date as can be done. You should check it out. For more details see my RetailMeNot review from 2011. Dealnews is a great place for deals on all sorts of things. I liked Dealnews in 2010 when I first wrote about it and I still like it today. If anything, I like it more. The basic way to use Dealnews is to browse it. If that’s how you’re going to use it, take my advice: sort the deals by “most recent” (at the upper right) so the new deals are at the top, and visit a couple of times a day so you don’t miss out. Deals don’t last forever and if they’re sorted chronologically you know you’re looking at the fresh stuff each time you bring up the site. No one wants to scroll through zillions of deals (some fresh, some older) and no one wants to find a great deal only to learn it’s expired. A more advanced way of using Dealnews is to create an account and tell the site what you’re looking for. Dealnews will send you an email when it finds a deal matching your specifications. This is really handy as you’re notified the moment the deal is posted, giving you a good chance of cashing in before the deal expires. Raise* sells gift cards at a discount. Buy them for yourself or buy them to give away. Either way you won’t pay face value. You tell Raise which store you want a gift card for and they show you what they have. You can sort them by amount, or by discount, or whatever. Some cards are delivered electronically, for use online or in a store (or both), and some cards are mailed to you in the form of a “real” plastic card. I recently picked out a Home Depot gift card* worth $100 for $89.22, applied a discount code from RetailMeNot ($5.00 off), and paid for it with my credit card. The gift card arrived electronically in seconds and I used it a few minutes later to buy some tools. I don’t know about you but I’ll trade $84.22 for $100 any day. See below. The discounts at Raise vary but in many cases they’re 10% or more. I use Raise to buy gift cards for myself, since I know which stores I go to over and over, and I end up saving a nice bit of change. It’s as if everything’s on sale! Put another way, it’s like I got a raise. Hey, I think I understand the name of the website now. Took a while. You can also “raise” some cash (heh heh) by selling your unwanted gift cards to Raise. * No, you’re not going to get face value. But that might be OK if the card you have isn’t something you’re interested in (or, maybe you got a gift card, bought something with it, and now there’s a balance on the card but you don’t imagine buying anything else from that store). You set the price, and you get paid when the card sells. Raise will send you email alerts when gift cards matching your specifications become available. If you’re looking for a gift card for a particular store, at a particular discount, the alerts are very handy. The neat thing is, I’d set up this search with SearchDome months ago and actually had given up hope. Eventually, though, the item did come up on ebay, and right away Searchdome notified me. In case you wondered: yes, the nephew loved it, and in case you can’t tell from the picture, this thing makes toasted cheese sandwiches with the San Francisco Giants logo burned into the bread. Searchdome is free unless you want to run a search more frequently than every hour. Hard to imagine needing that, but the option’s there if you need it.